Full Service Furniture Retail Store and Interior Design Business Dream House is a full-service furniture and interior design store located in historic downtown Frederick, MD. We specialize in personal, honest, and reliable service from start to finish. Our store is rich with a beautiful mix of furniture, fabrics, lighting, art, and countless accessories. We welcome you into Dream House and invite you to experience our unique, fresh, and even surprising style. Outdoor Furniture Experts, Serving The Mid-Atlantic Since 1978! We are a family owned and operated patio furniture store in Frederick, Maryland. Visit us in our showroom, so you can explore and discover the furniture and accessories that are right for you! Fitzgerald Home Furnishings has everything for your home's interior - all under one roof! We have quality furniture, flooring, cabinets, tile, granite, PPG Paints, decor, lighting, mattresses, etc. 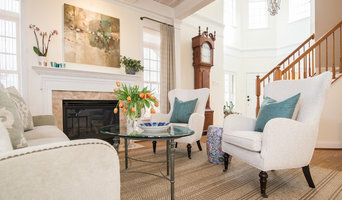 Brook Taylor Interiors, owned by mother daughter duo Ellen Roberts and Jennifer Riffle, bring their effortlessly classic sense of style to the world of residential interior design. They believe that great design is all about the mix with added unexpected touches, pairing classic silhouettes with modern and luxurious fabrics. Their family owned store offers furniture, lighting, rugs, pillows, gifts, accessories, lamps, artwork, mirrors, etc. available for your every need. They provide more than just a shopping experience as they can furnish and accessorize your home as well as provide you with custom window treatments. Ellen has owned her own window treatment workroom for over 26 years and specializes in custom treatments specifically tailored to each individual client’s needs. Mariana graduated from the Maryland Institute College of Art with a Bachelors in Fine Arts. She is an expert in designing and creating textiles. She is a designer at Ethan Allen in Towson, Maryland. Her passion for Interior Design and aesthetics stems from her experience with textiles, and she strives to create spaces that are beautiful, functional and comfortable. She has years of experience in space and display design and art installations with a focus in color and spatial relationship. 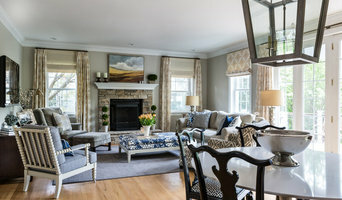 Her goal as a designer is to work alongside her clients to help them find their desired style and create a unique ambiance that reflects their personality and lifestyle. Fluent in English and Spanish, she values her client’s needs for quality of service and efficiency. Progetti is a new furniture showroom located in the heart of Bethesda. Our goal is to design modern living spaces and develop creative ideas into well executed plans for modern furniture, tailored for homes and workspaces, overall improving functionality and lifestyle in an aesthetically pleasing environment. With three elegant showrooms throughout the Mid-Atlantic, Sheffield Furniture & Interiors delivers the finest in home furnishings. Our list of manufacturers reads like a “who’s who” in the industry. Stickley, Henredon, Hickory Chair and Brown Jordan just to name a few. In addition, each showroom displays beautiful accessories, large fabric libraries and in-house window treatment and soft good specialists. Our award winning staff of design professionals are at the ready to assist in finding the perfect furniture for your home. Visit our showroom today and you will see why Sheffield is worth the trip! We do it ALL and We Come to YOU! Contact us for your FREE ONE (1) hour Initial Consultation. NOW OFFERING VIRTUAL DESIGNS FOR $250*. We provide: - 1 hour Design Consultation call over Skype and additional calls as needed, - Furniture layout, - Color suggestions using the Benjamin Moore system - Fabric suggestions and swatches - Budget - Step-by-step plan of attack and - Recommended shopping list tailored for YOU. Decorating Den has been decorating homes and businesses throughout the U.S. and Canada since 1969. I am Angela Scollar, your local interior decorator of Montgomery County, MD. I have been in the interior decorating business for over 10 years. I am DCDD certified and have a degree in Art History. *Initial payment is $500. $250 credit will be applied toward purchases made through Decorating Den - Angela Scollar. 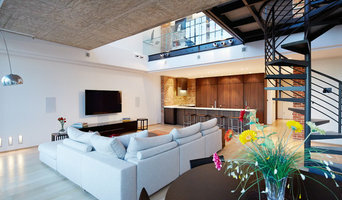 INDUSTRIAL HOME OFFERS UNCONVENTIONAL STYLE THAT TAKES YOU OFF THE BEATEN RETAIL PATH. Christopher Ritchie has had a lifelong passion for unique furniture, interior design and custom woodworking. Influenced by his mother, who was also a interior designer, he honed his skills designing for Starbuck’s, Wynn Hotels, Neiman Marcus, Horchow, Westin Resorts, (Top Chef) Bryan Voltaggio’s Family Meal Baltimore, Paul Mitchell Salon (The Temple), and Restoration Hardware. Christopher has owned and worked directly with furniture manufacturers for more than 20 years. Rug Questions? Call us! (240) 452-4602 INTERIOR DESIGNERS -- Do you struggle to find a quality area rug that meets a clearly defined design style? Tired of wasting time searching for the perfect rug? Rugknots is the First Choice for Interior designers who are looking to streamline the rug buying process, and need a hassle-free way to get the rugs they need. Rugknots First Choice designers have access to a personal account manager, fast and free shipping and returns, and exclusive industry pricing only available to Designers. First Choice members also earn points on their purchases which can be used to save even more money! Visit www.Rugknots.com/trade to learn more! Need help searching for a rug? Rugknots is here to help! Do you know the style, the color, and size, but don’t know where to start? Call us today, and we’ll help you find the perfect rug. From full time moms to interior designers, Rugknots has the answers to your rug buying questions. Don’t hesitate, contact us today! (240) 716-6629 Are you looking to buy an oriental rug for you or a client? With a wide selection of the most popular traditional designs, Rugknots is the best place to shop world class hand knotted wool rugs. Whether it be traditional red Bokhara rugs, or more contemporary Peshawar Ziegler rugs, Rugknots has the highest quality hand made oriental rugs. Whatever the style, our oriental rugs are unique and sell fast, don’t miss out on your opportunity to experience true luxury. Looking for a CUSTOM RUG? Rugknots works with rug manufacturers around the world to bring your dreams into reality. Our custom rugs are perfect for homeowners and designers alike! Have a design you want made? We’ll give you a quote! Not sure what you want? Let Rugknots help! Contact Rugkntos and ask about ordering a custom rug today! We offer custom wedding rugs, custom monogrammed rugs, and more! Don’t wait, call or contact today! Call our Offices today (240) 716-6629 Rugknots is a family run business dedicated to quality and helping those in need. To date, with help from our loving customers and designers, Rugknots has opened two schools in Pakistan to help young children get the education they deserve; and we don’t plan on stopping there. We are excited to bring our family’s beautiful hand knotted oriental rugs into homes across the country. Salvations Architectural Furnishings has been designing and manufacturing unique handcrafted iron tables and accessories exclusively for the trade since 1986. In addition to private residential installations, Salvations furnishings have been designed for and installed in American embassies and consulates worldwide. Although all production is based in and around our Maryland studio, our work is featured in showrooms across the U.S., Canada and the Middle East. Fitzgerald Home Furnishings (formerly Routzahns Way) has everything for your home's interior - all under one roof! We are located in Frederick, MD and are a family-owned and operated business that opened in May of 2012. Our purpose is to provide high quality furniture, flooring, mattresses, and other home interior products at the best possible price, along with the excellent customer service experience Fitzgerald companies are known for. We post our best prices on all of our furniture - no haggle, no hassle! We believe great service, excellent quality, and fair pricing create lasting customer relationships. Come in and visit our beautiful 30,000 sq. ft. showroom, conveniently located off of Rt. 26 in Frederick, MD. You will be amazed by the great deals and huge selection of customizable items for your living room, dining room, bedroom, home office, and home theater. Fitzgerald Home Furnishings has the largest selection of American-made manufacturers such as Furnish with Fitzgerald, Amisco, Bassett Furniture, Door County, England, Furnish with Fitzgerald, Nisley, Palettes by Wineburg, Scott Living by Coaster, Spectra, and many more! Trade in, delivery & removal, flooring, paint, and everything in between: we are your one stop shop for all things for your home! Check out our online design center to design custom furniture and plan your room! Push Pull Decorative Hardware provides visitors with a wide variety of door and cabinet hardware and accessories. Planning on buying new furniture and accessories for your Poolesville, MD home? A wide range of home furnishings and home decor accessories are available in the marketplace. If this is your first home, check out our directory of furniture retailers in your area for ideas and cost comparisons. Or you may already have a favorite style and a furniture retailer that you’ve worked with in the past. Whatever your situation, it’s always a good idea to do some research before visiting a Poolesville, MD retailer or finding a custom furnishings manufacturer. Start your research right here on Houzz. Read through professionals’ profile pages to find out important details, like how long a manufacturer has been in business. Look at reviews by design professionals and find out which furniture makers offer the best customer service. Are you looking for condo-size furnishings or working with an oddly shaped room? Necessity is the mother of invention, so opt for a custom piece made by an experienced Maryland furniture maker. Here are some related professionals and vendors to complement the work of furniture & accessories: Interior Designers & Decorators, Artists & Artisans, Kids & Nursery, Closet Designers and Professional Organizers, Bedding & Bath. Take your time on any buying decisions. If contemporary is your style, don’t buy something traditional because it’s on sale. Many Maryland home furnishers offer interior design consultations or room planning guides to get you started. Whether you decide to work with a home decor specialist or to become your own expert, it’s important not to rush the furniture-buying process. Visit plenty of Poolesville, MD showrooms and stores so you can feel comfortable with your purchase. Find furniture and accessories manufacturers, showrooms and retailers on Houzz. Narrow your search in the Professionals section of the website to Poolesville, MD furniture and accessories, then choose the nearest metro area for showrooms and retailers. Or you may want to look through Maryland photos to find designs you like and contact the furniture manufacturers and showroom galleries directly.